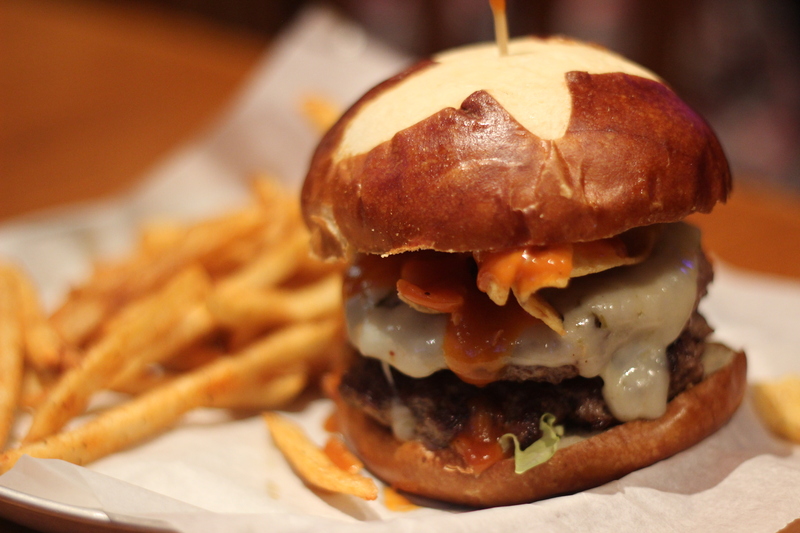 I grabbed a checklist and started choosing away, picking the half pound patty, pretzel bun, pepper jack cheese, Blazin’ BBQ sauce, Fritos (yes, Fritos!) and Cajun fries (which I was told came on the side and not on the burger itself). Funny enough, nowhere on the extensive list of options was a choice of how to prepare the beef, so I penciled in “Medium-Rare” next to the patty I chose and hoped it would be heeded. When my burger arrived, it was looking pretty. The Fritos in place of anything resembling a vegetable made it even prettier, although a stray piece of lettuce was sitting on my bun and had to be forcibly removed. When I dug in, I couldn’t have been happier with the ingredients. The sauce had a nice kick to it to complement the cheese and I can’t say enough about Fritos as a topping. The pretzel bun was a nice touch, but definitely not the best pretzel bun I’ve had. Yet, with all these things going right, only one thing could ruin this burger and that was the patty itself. 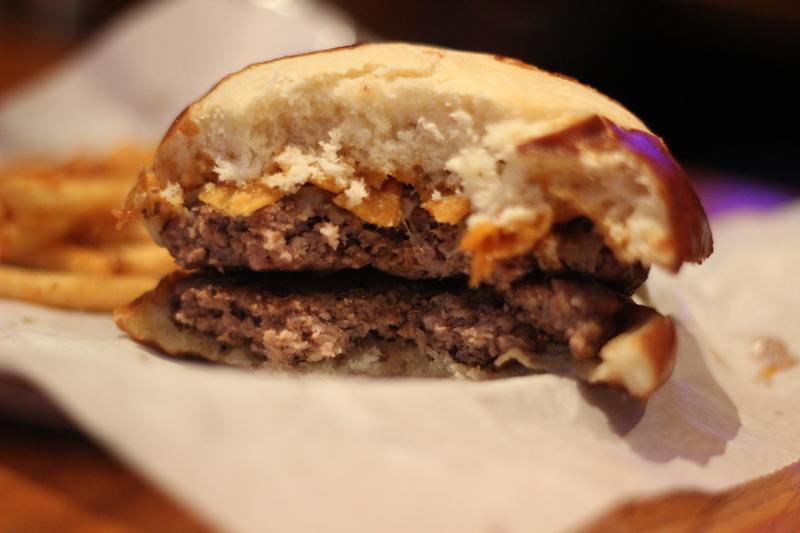 The burger actually featured two patties (each a quarter pound), and each were dry, brown and lifeless. Such a thing can ruin a burger and these patties really did. Subsequent visits have taught me I wasn’t just there on an off night. But there was hope. The fries were pretty stellar and Stack’d cuts its prices to $3 a burger on Tuesday nights after 9:00. This price is perfect for these burgers and it is unlikely that I will ever go back to full price again.